Four-legged friends of all shapes and sizes will return to the Wildwoods Convention Center for the annual All Breed Dog Show. The Atlantic Ocean Classic Dog Show Cluster, hosted by the Boardwalk Kennel Club, will feature five days of competitions starting Wednesday, January 17 through Sunday, January 21. Certified judges will determine the winners of each category and various prizes will be awarded. So come out and see the best of the best of all dog breeds! Competitions begin at 8:30 a.m. daily. Ticket prices are $8 for adults, $5 for senior citizens and $2 for children under 12 and will be available at the door the day of the event. The schedule of competition in each category for the All Breed Dog Show is to be announced. Additionally, vendors will offer unique dog-related merchandise for those looking for something special to pamper their pooch – from collars and leashes to books and training tools, along with everything in between. Guided tours and new exhibitor briefings will be available throughout the five-day event to educate the public about all aspects of the sport of dog showing. 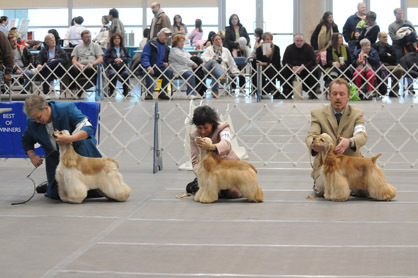 For additional information about the Boardwalk Kennel Club All Breed Dog Show, visit www.BoardwalkKennelClub.com or call 856-952-8042.